Lara Jean's older sister is off to college - in Scotland! Since her sister has always been the organized one who takes care of everything around the house, things get a little hectic for Lara Jean, her younger sister and her father. 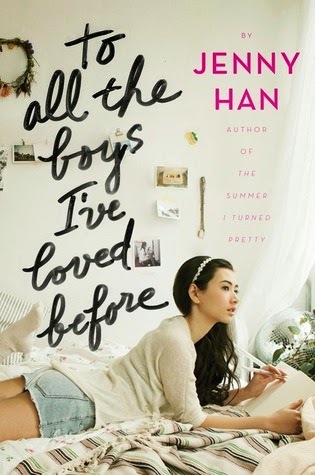 Lara Jean is trying to fill her sister's big shoes but life gets even more crazy for her when she discovers that all her letters to her former crushes have been mailed. See, whenever Lara Jean had a crush on a boy she would get over it by writing that boy a letter and keeping it in her favorite hat box. The letters were never meant to be seen by anyone other than her but now the boys are reading all of her innermost thoughts about them. Worst of all, one of the letters went to her sister's ex-boyfriend and the only way to cover her tracks with him is to pretend to be dating someone else. While I liked this book it could've definitely lost about 100 pages to make it a better read for me. I will say, however, that I was happy with the ending and the realizations the characters had which surprised me and saved this from being a typical romance.